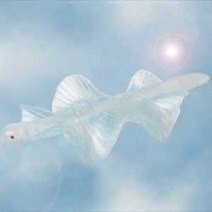 Are aliens controlling the minds of animals in an attempt sabotage state of the art jet technology? Did a rocket scientist accidentally leave a pic-a-nic basket within sniffing distance of the woods? Did a lonely bear simply want to get a look at the latest in high-flying tech? Whatever the explanation a 200 lb. 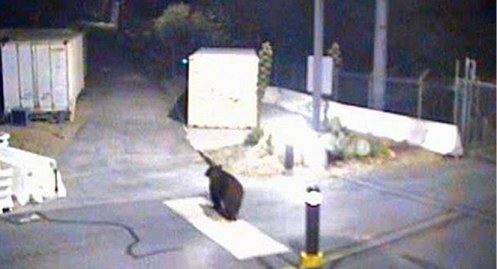 bear was seen wandering through the Jet Propulsion Laboratory’s Pasadena campus. A gigantic lego man has washed ashore in Siesta Key, Florida. 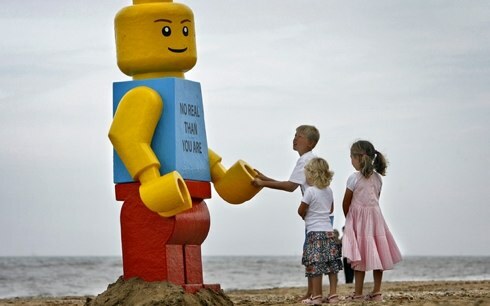 Acording to Boing Boing, the 8-foot tall Lego traveller has previously washed ashore in Holland and England. Have you ever wondered what it might be like to be a witch living today? How do you pay your bills? Where do you go to find others like you? 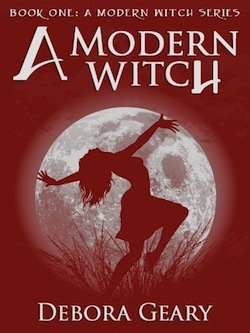 Well Modern Witch by Debora Geary answers all those questions. Modern Witch is a cute and very entertaining book, easily read in an afternoon. It kept my interest from start to finish with its refreshing concept. It’s an airy contemporary fantasy with plenty of laugh-out-loud humor, a little romance, and characters you won’t want to leave. After reading several heavy horror stories I was in the mood for something lighter and maybe just a little more girlie. This led me to Modern Witch and I am so glad it did! 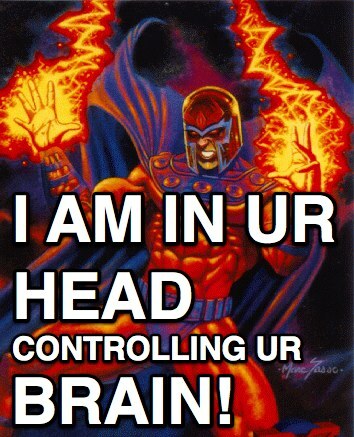 I love fantasy, sci- fi, urban fantasy, horror, any way I can get it. I read it voraciously. I don’t have impossibly high standards, but to name a few; interesting characters, dialogue, and a compelling plot is a requirement. The characters and storylines made for a quick and enchanting read. Which allowed me to fall in love with Debora’s characters. When I closed the book it was with the heavy heart of leaving the characters behind. This novel does not start with the typical intro you’d expect from books that involved witches, but it is supposed to be a “modern” witch story. I even got teary eyed in a few parts of the book. It is quite an enjoyable novel and not dark at all. If you are looking for a more “witchy” or dark tale this book is not for you. I wasn’t sure what to expect from the author, but she certainly won me over. I was drawn in by her words and almost put sound to the voices. If you’re looking for something lighthearted that will make you smile, this book is it! Apparently there is a valid meteorological explanation for this, but it is still pretty freaky. Notoriously screwy Pittsburgh suburb Fayette County has found what they believe is proof of two UFOs zipping around a massive crucifix and one man caught it on video. One little girl missing in a woodland area littered with zombies. Her mother is on the edge of a nervous breakdown. Another of her rescue party is barely hanging on to the will to live. These are three of the major problems we barely deal with in The Walking Dead episode Bloodletting. Which means you know things have really upshifted from “this is heartbreakingly awful” to (collapse into a helpless, weeping heap). Do Our Brain Hemispheres Communicate With Electromagnetic Fields? Are we moving closer to proving that electromagnetic fields help our brain hemispheres communicate? Neuroscientists at the California Institute of Technology (Caltech) have made a puzzling finding: people born without a corpus callosum (which links the two hemispheres of the brain) — a condition called agenesis of the corpus callosum, or AgCC — still show remarkably normal communication across the gap between the two halves of their brains. Posted in Science | Comments Off on Do Our Brain Hemispheres Communicate With Electromagnetic Fields? Jose Luis is 44 years old with four kids. He doesn’t drink or do drugs. 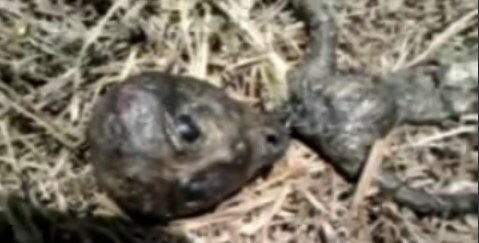 He found an alien corpse in the woods of Brazil and took a video of it. He’s since been pressured to take it off YouTube but the folks at UFO Casebook have reposted it on their site exclusively. Check out the video there. Did We Just Find A Microchip In Napoleon’s Skull? Dr. Dubois made the amazing find while studying Napoleon’s exhumed skeleton on a $140,000 grant from the French government. “I was hoping to learn whether he suffered from a pituitary disorder that contributed to his small stature,” he explained. But instead the researcher found something far more extraordinary: “As I examined the interior of the skull, my hand brushed across a tiny protrusion. 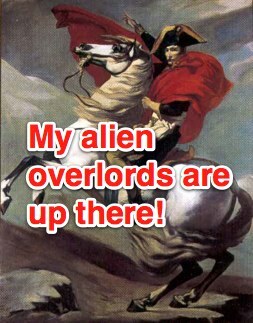 Even more shocking, Napoleon’s Skull has been added to the list of hardware which will be able to run Android’s Ice Cream Sandwhich OS. 1066 Oleander Place seems a typical tract house in Southern California. It looks just like all the other houses in its subdivision, but what no one understands is that this house is deadly, very deadly. It consumes all who enter it, spiritually, psychologically, and physically. Even a short visit to the place challenges fate. Can you imagine Thanksgiving in that house!? 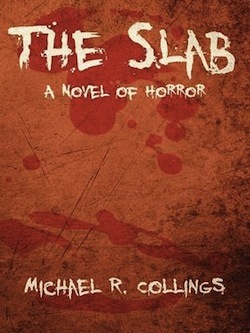 The Slab is a haunted house story, which takes place in a tract home in modern-day California. It was filled with the deep dark foreboding that makes horror novels so captivating. The atmosphere was spooky and frequently scary. The thought of your home not being a safe place to be just adds to the creep factor of this book. What happens on Oleander should stay on Oleander! Domestic violence, sexual and animal abuse is shown to you in a way that will have you wanting to put this book down because it’s just too disturbing to keep reading. Despite this, I found myself wanting to finish reading to see the final outcome. One thing is for sure, you will be thankful when you are done reading. Thankful that you never lived at 1066 Oleander! There have been lots of books written about haunted houses, and I have read quite a few myself, but Michael Collings doesn’t give into clichés. You’ll find no cold spots or levitating objects here. Rather, each horror becomes personal to the individual experiencing it. It did start out a little slow and I wondered where it was going in the beginning, but I kept reading. Like I mentioned earlier, I found it hard to put down. The horrors in this book will keep you reading and the ending left me shocked and sad. It had a creepy vibe and a sense of history. 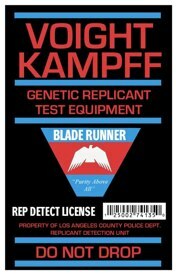 The characters were also well fleshed out in my opinion. The Slab is a great read and I highly recommended for people who don’t mind graphic horror novels. The social hierarchy of a wasp is pretty rigid. But what if a snide little parasite made you a deal. You could live the life of a queen, no foraging for anyone but yourself, living off the fat of the land. All you have to do is become subservient to a macabre march of death that enslaves your brethren and propagates the evil parasite. 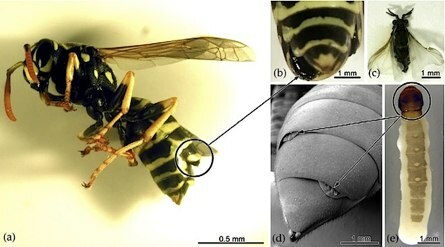 The parasite X. vesparum infects the wasp which withdraw from their previous social pattern and instinctively fly away to a meeting point with other parasites. It’s there the parasites mate, with the male hosts disposing of their wasp coats, leaving them to die. But the females remain inside the wasps, turning them into zombie queens which find food for themselves and fatten up while infecting other nests and plants with the parasite larva. 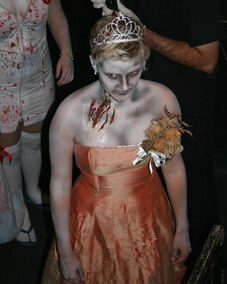 Get your zombie queen paper wasp costume ready for Halloween! 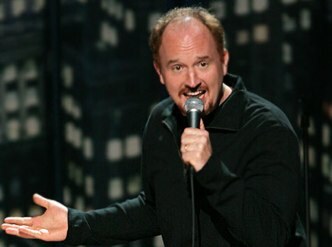 Men are funnier than women, according to a new study out of UC San Diego. But only barely, a scientist quickly added realizing he still has to go home to his wife. And men mostly found other men funny which accounts for the slight advantage, added a young lab tech whose blind date arrived awkwardly while the announcement was made. Although those qualifiers are not true (nor funny) the facts remain that men tested funnier on average than women, if just barely. Men edged out women by 0.11 points out of a theoretically possible perfect score of 5.0, while about 90 percent of both male and female study participants agreed with the stereotype that men are funnier. So how do a pack of intellectuals measure what is funny and what isn’t? 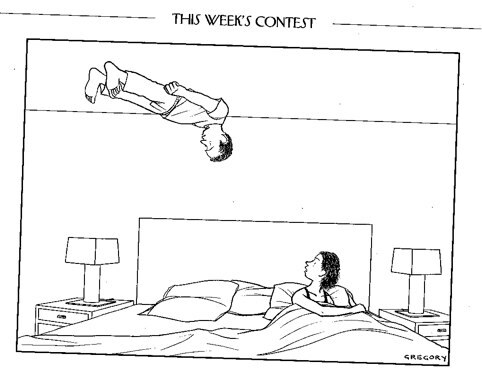 Why a controlled version of a New Yorker cartoon caption contest, of course! (tea cups cling as pinkies arise) Each volunteer wrote captions for the legendarily erudite scribbles and then had they rated by other test takers. The study also tested to see if funny captions were more memorable. Cyclops Shark! Sharks have moved into a new level of nightmare fuel! Earlier this year fisher Enrique Lucero León legally caught a pregnant dusky shark near Cerralvo Island (see map) in the Gulf of California. When León cut open his catch, he found the odd-looking male embryo along with its nine normal siblings. “He said, That’s incredible—wow,” said biologist Felipe Galván-Magaña, of the Interdisciplinary Center of Marine Sciences in La Paz, Mexico. 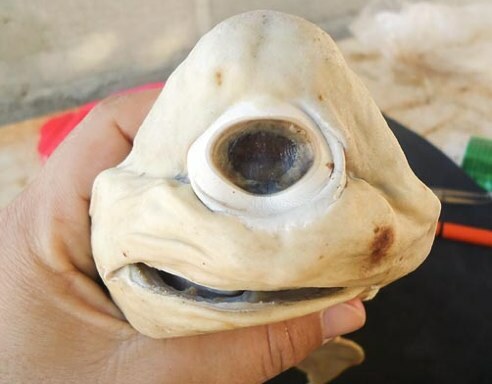 Sharks are being born with one eye and if it weren’t for this intrepid fisherman, he’d be creeping out the waters around California even as we type this sentence. 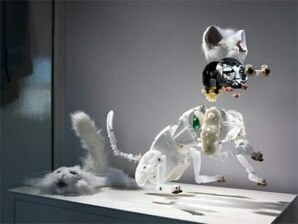 You are currently browsing the Weird Things blog archives for October, 2011.